Blind since the age of seven, Nick Gleeson has spent his life learning to ‘see’ without seeing. Growing up in the working-class Melbourne suburb of Broadmeadows, Nick’s young life was defined by touch and smell: learning the shape of each shoe so he knew left from right. Holding the huge, rough hand of his father. Smelling the well-worn vinyl in the family car. Many years later, when Nick meets Peter Bishop in the lounge room of Varuna, the Writers’ House, he has led an amazing life of physical adventuring. A Paralympic athlete and captain of a blind cricket team, Nick has scaled base camp at Everest, climbed the summit of Kilimanjaro, and has just returned from an expedition to the Simpson Desert. In a unique blend of memoir and conversation – and with many insights into the writing process – Peter and Nick find compelling ways to explore a life journey with more than its share of challenges, loves, losses, and laughter. 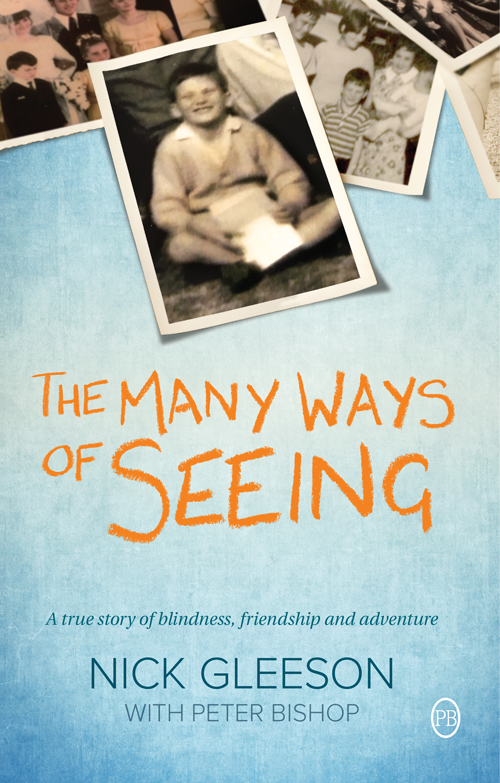 The Many Ways of Seeing is an inspiring true story of determination in the face of hardship, the vital importance of trust and friendship and all that can happen when writing is revealed to be the most surprising adventure of all. Peter Bishop was founding Creative Director of Varuna, The Writers' House in the Blue Mountains from 1994-2010. A writing mentor to many, Peter is a master of asking the right question at the right time.